Despicable Me 3- Are You Sick of the Minions? Despicable Me 3 is the latest movie about former villain Gru and the small bright yellow creatures who do his bidding. It was released in 2017, and is the fourth movie to feature the minions. Have you seen it? If so, have you had enough of the little yellow guys? 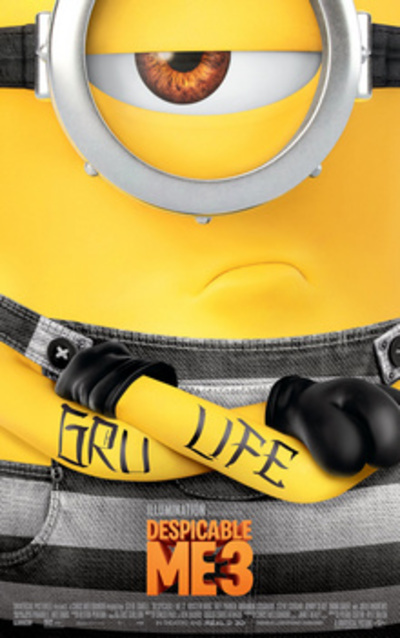 Despicable Me 3 Teaser poster, via wikipedia. Fair use. My kids love these movies, so I've seen them all at least once, and for me the minions are getting a bit old. I guess as long as people watch them it makes sense to keep making them though. What do you think of Hollywood whitewashing Asian characters?